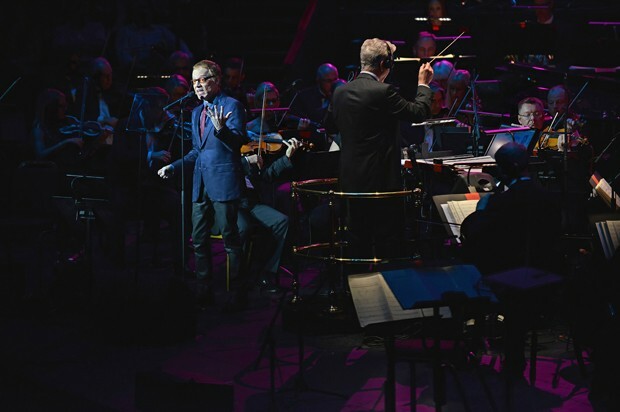 Danny Elfman In London – Sunshine. Whimsy. Tacos. The centerpiece of the last UK trip was a show at the Royal Albert Hall, in London. The first in a small series of concerts around the UK, and a pair of them in Los Angeles. 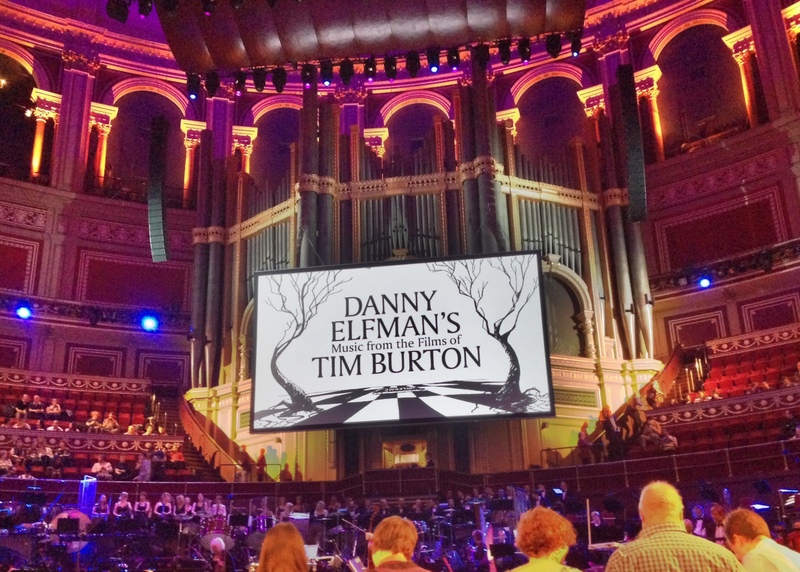 The show was a concert of music that Danny Elfman had composed for Tim Burton’s movies. I’m pretty sure that every single person reading this blog has heard at least some of this music- Batman, Pee Wee’s Big Adventure, Beetlejuice, Alice in Wonderland, Edward Scissorhands, and The Nightmare Before Christmas- they all had a moment in the program. The best part of this concert, and the reason that I went all the way to London to see it, was that Danny Elfman himself was performing- his first live performance in 18 years. 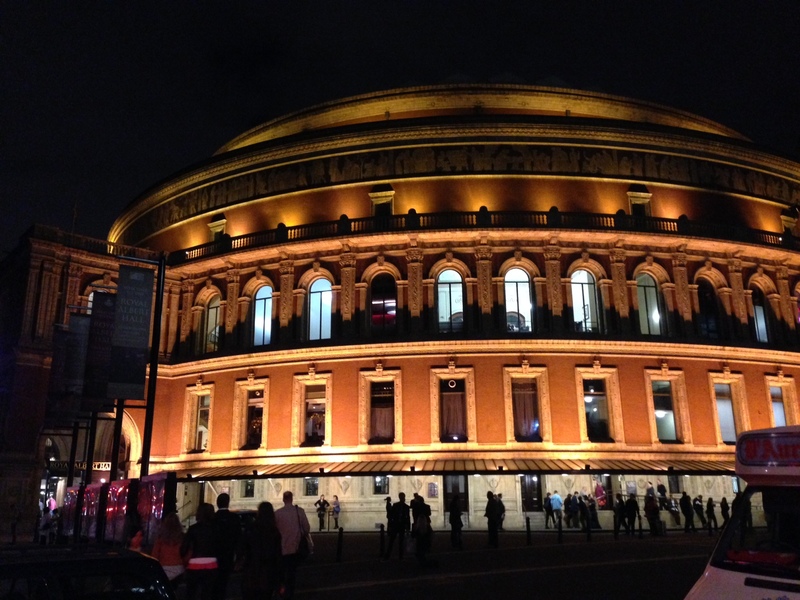 I did not take the following picture; I pulled it off the Royal Albert Hall blog. This is Danny, doing the Jack Skellington parts in the Nightmare Before Christmas section. When the Nightmare Before Christmas section got to Sally’s song, Helena Bonham-Carter stepped out to do that song, to the roaring applause of pretty much everyone in the theatre. For the Oogie Boogie song, Danny did the Oogie part, and the conductor in the picture above donned a Santa hat to sing the Santa portion of the song. Brilliant! 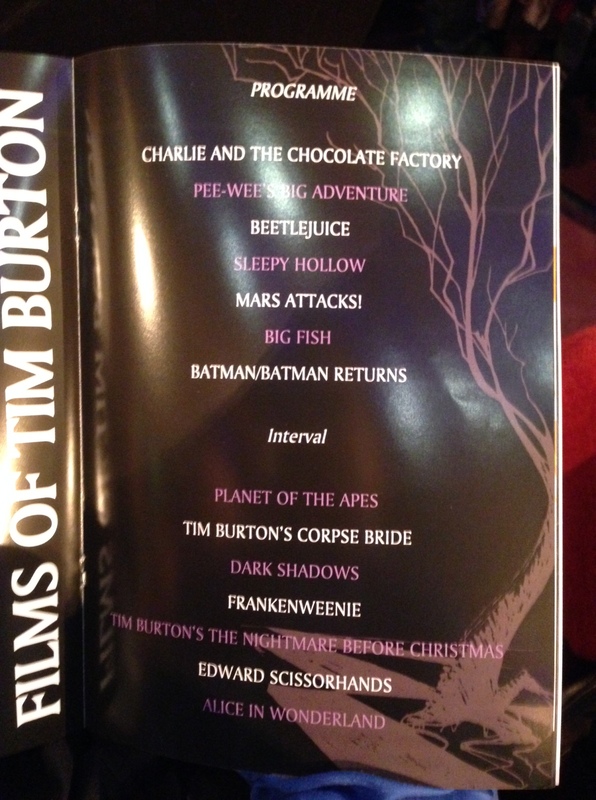 After the show, they brought Tim Burton on the stage for applause and accolades. Once again, this picture is from the Royal Albert Hall blog; I wasn’t nearly this close. 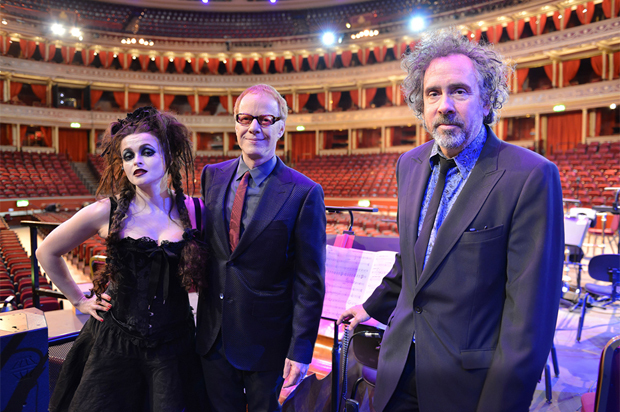 From left to right, Helena Bonham-Carter, Danny Elfman, and Tim Burton. Tim Burton has really grown into that hair over the years, I think. 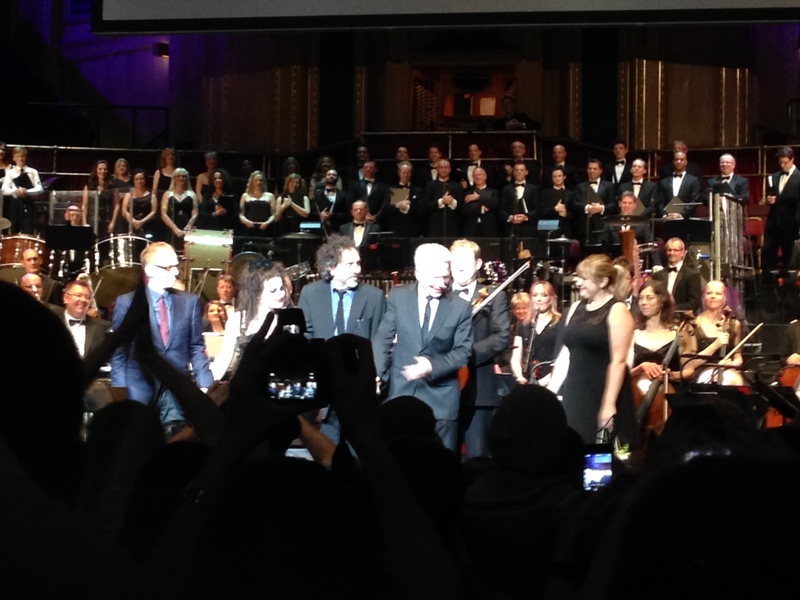 This picture is one that I *did* take- you can see Danny, Helena, Tim, and the conductor standing together. We were in the 11th row. What’s the last concert you went to? Did you travel to see it?